Wisdom teeth are the very last teeth to appear (usually between the ages of 17 and 25 years old), right at the very back of your mouth; they are the third molars in your jawbone. 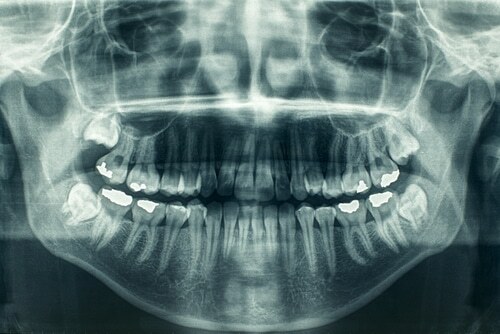 The majority of people will have four wisdom teeth: top and bottom, left and right. Although, some people may have fewer or even more! Generally speaking, wisdom teeth are unable to function properly due to their large size and the lack of room in the jaw. Most adults have room for 28 teeth, but not for 32 teeth, once their wisdom teeth break through. That’s why we so often need to have them removed. It is important to have your wisdom teeth checked for their positioning, ideally during the late teenage years. This is to analyse IF they will fit in your jaw, and if they are causing damage to any of your other teeth. 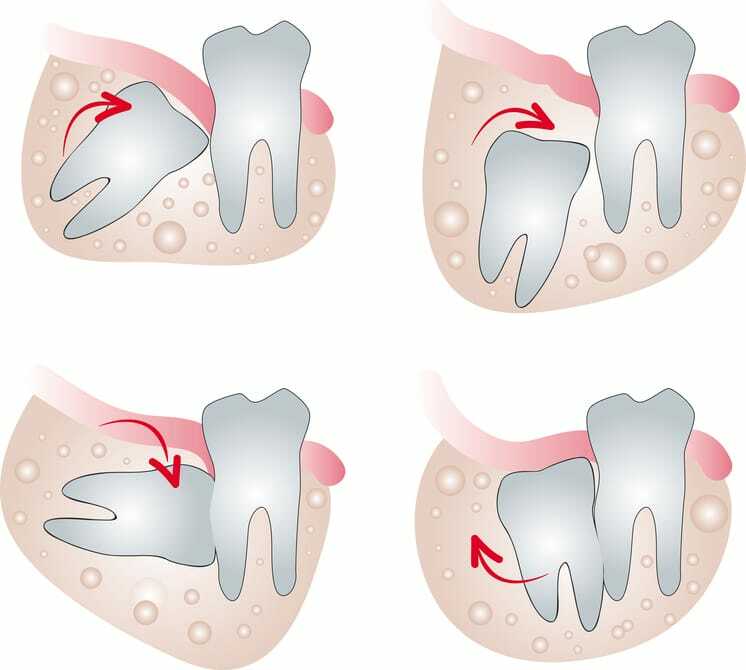 If, by the age of 25, your wisdom teeth have not come through, then they are likely to stay impacted. In this instance, we will need to assess whether they are, or are likely to, cause damage to other structures. In order to check for damage to impacted wisdom teeth, you will need to have a specialist x-ray called an Orthopantomogram (OPG). Depending on the results of this x-ray, your treatment may vary from simply leaving your wisdom teeth where they are, to having them surgically removed by an oral surgeon. As wisdom teeth can be quite painful, causing swelling, inflammation and fever, treatment can alleviate all this pain. If wisdom teeth are left untreated, they can cause severe infections which may lead to abscesses and bone loss. If left untreated, wisdom teeth can cause major damage to surrounding teeth, causing the decay of otherwise healthy teeth.